You can borrow up to five books at a time. Books can be borrowed for two weeks at a time and renewed for a further two weeks if not required by another user (N.B. all books are subject to recall at any time if requested by another user). 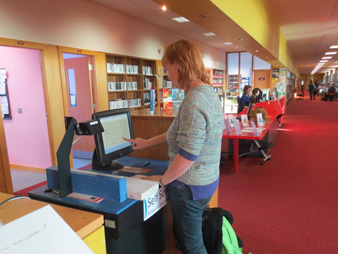 You can renew books in person, by phone or by emailing library@gmit.ie. Books should be returned promptly to the Library. You will be charged if books are not renewed or returned on time (20c per day per item). If you do incur fines, you can pay these in person at the Information Desk. Books may be returned to the returns bin or at the Information Desk at any library location.